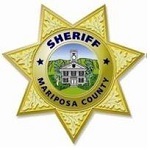 MARIPOSA COUNTY — The Mariposa County Sheriff’s Office announced this evening that Evacuation Orders for some Mariposa Pines residents have been lifted. Residents in Mariposa Pines on Scott Road from Best Road to the end of Hites Cove Road, including all side roads, have been lifted as of Tuesday, July 24 at 6 p.m. These areas will remain under advisory and the area will be open to residents only. Fire Advisory: this is an advisement only of a potential Evacuation Order should conditions change.This area will be open to residents only. All residents on Jerseydale Road between lower Best Road to Triangle Road will remain in Mandatory Evacuation Status. 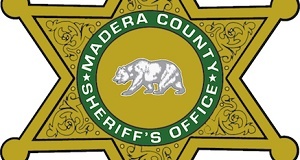 Mariposa County Sheriff’s Office will have a heavy presence in the area to ensure the security and safety of residents and businesses. Due to the large amount of emergency equipment in the area, speed control will also be enforced. There will still be smoke in the respective areas as firefighters continue firefighting operations. If at anytime you feel unsafe, please call 911. 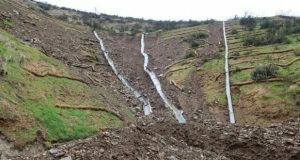 The Mariposa County Health Department has health and safety information for residents returning to their homes on our website at http://www.mariposacounty.org/health or call 209-966-3689. Mariposa County Public Works will be at upper Best Rd and Scott Rd from 10am- 3pm providing FREE residential spoiled food waste. SAFETY MESSAGE – The public is reminded to stay vigilant on current fire conditions. Please continue to adhere to road closures and any evacuation warnings. If you see electrical wires on the ground, stay clear and contact PG&E immediately. Trees and poles with deep charring, particularly if still smoking, should be considered hazardous. Please drive slowly and yield to emergency personnel in the area. As you re-enter your property and evaluate damage, be aware that hazardous conditions may exist, particularly if a residence or out-building has burned. Hazards may include asbestos, heavy metals, by-products of plastic combustion and various other chemicals. MCSO wants to encourage the public to remain prepared year-round for wildfires by visiting the www.readyforwildfire.org website. 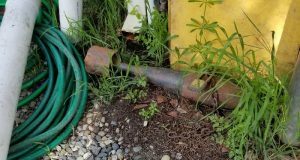 The best show of support is having your home and property “fire-ready”.